6. January, 2015. 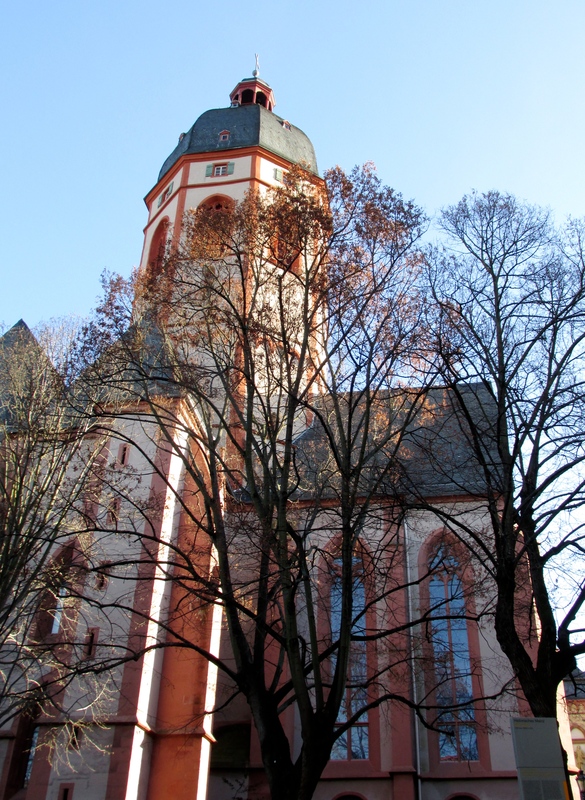 Just another lovely spot in Mainz–the Stephanskirche. I’ve been wanting to write about it for weeks, but held off to wait for clear skies. The sunlight makes the windows come alive. The Church of St. Stephan was originally built in 990, on the highest point of land in the city. It was almost entirely destroyed on February 27, 1954 during an American air raid, and has slowly been rebuilt over the course of several decades. 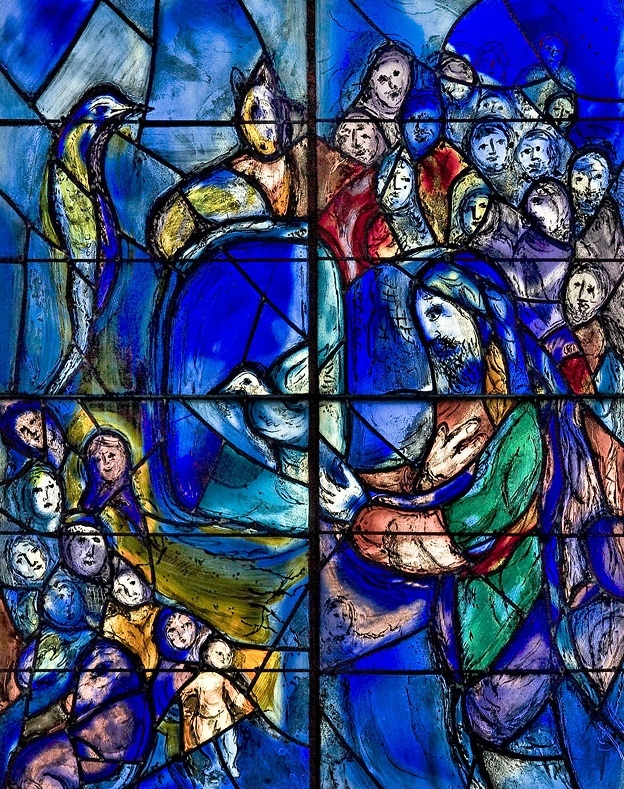 Today, the church is renowned for its nine stained glass windows created by Marc Chagall, one of the greatest Jewish artists of the 20th century. Chagall’s story is one that can be told by dozens of European artists of his time–early renown in Europe, displacement by war, flight to America, observation of Europe’s self-destruction from afar, rebirth and recreation. He was a leading figure of early modernism and heavily involved in the Surrealist and Symbolist movements in Paris. 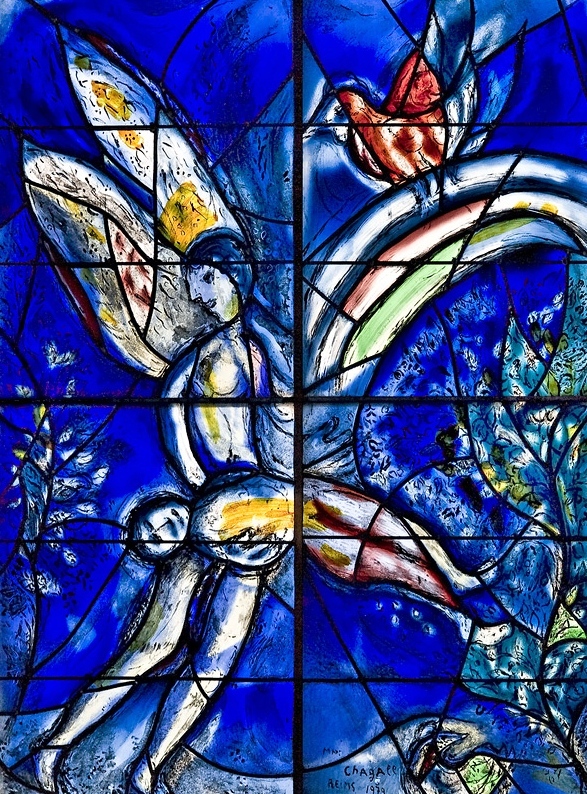 Today, his large-scale paintings and stained glass can be seen in a Jerusalem synagogue, on the ceiling of the Paris Opera, in cathedrals in England, in the United Nations building, and on the stage of the New York City ballet. 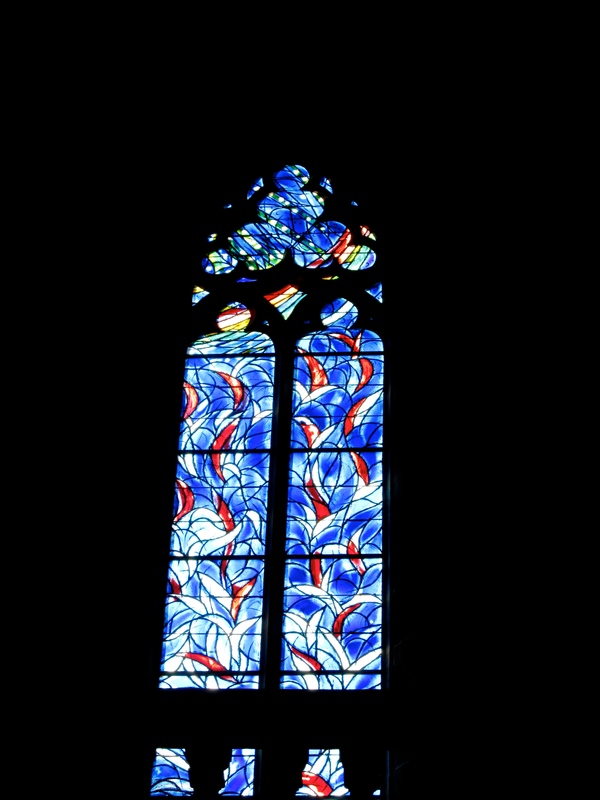 The windows in Mainz are the only such pieces he created for a German church, and the last stained glass he created before his death in 1985. When he began work, he was 91 years old. 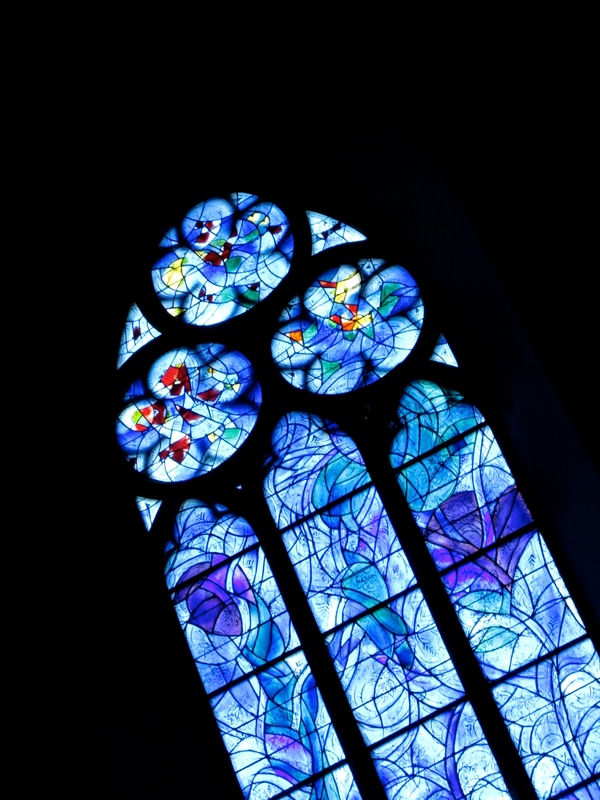 He intended, he wrote, for the finished windows to serve as a symbol of Christian-Jewish unification, a gesture of rebirth after the ravages of World War II. Today, some 200,000 visitors a year come to the Stephanskirche to see his work. 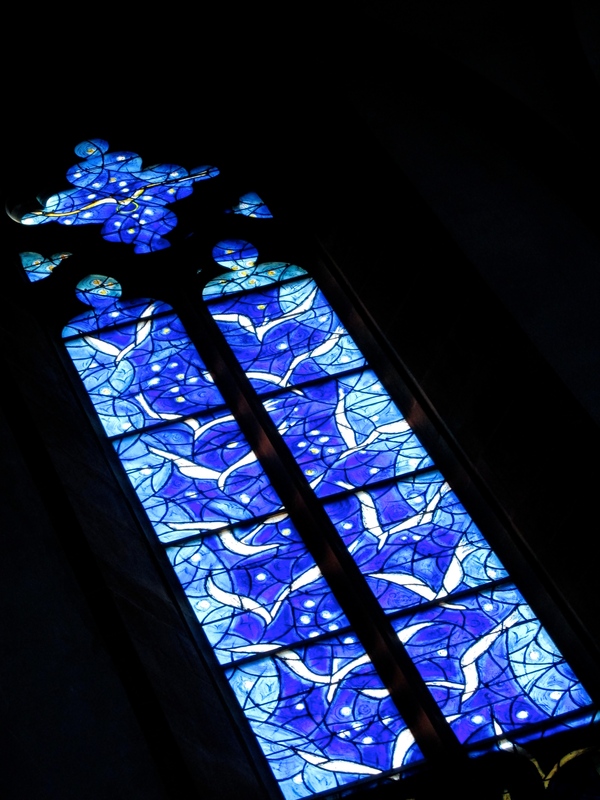 The windows turn the light in the church deep blue, with highlights of rainbow. One almost has the feeling of being under water and looking up at the sun. Details from two of the dozens of scenes from the Bible painted on the three windows behind the altar. The Stephanskirche is in the Oberstadt (literally, the over-city), the part of town up on the hill and a little apart from the bustle of the center. It’s my favorite area in Mainz, full of slanty pathways and stone stair steps. Below, the walk back into the city. This entry was tagged architecture, art, church, Deutschland, Europe, Germany, Mainz, Marc Chagall, religion, stained glass, Stephanskirche. Bookmark the permalink. Your descriptions are marvelous – can we go here when I visit? The glass is amazing. 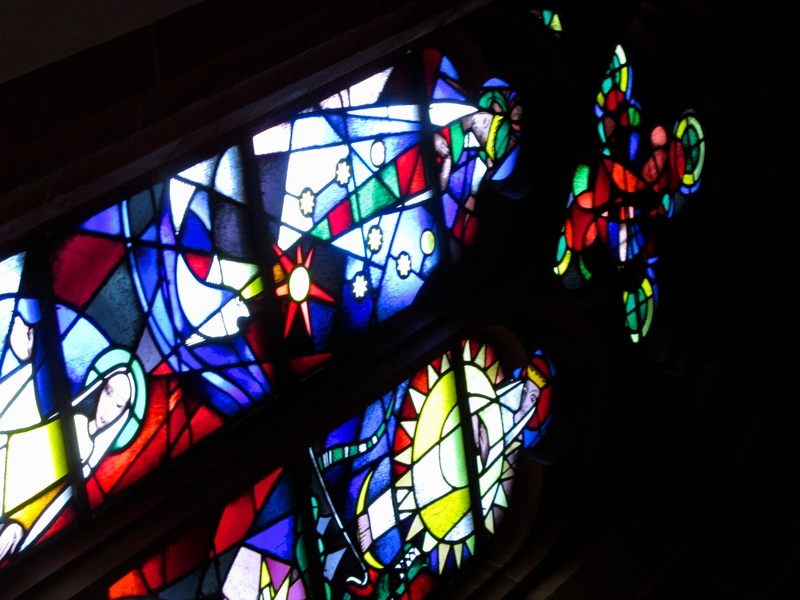 I’ve never seen stained glass like that…It’s stunning, even in photographs. Breath-taking. I am glad you are spending time in church! Beautiful. What a treasure and what a joy to be able to see them in person. You are finding wonderful sights.